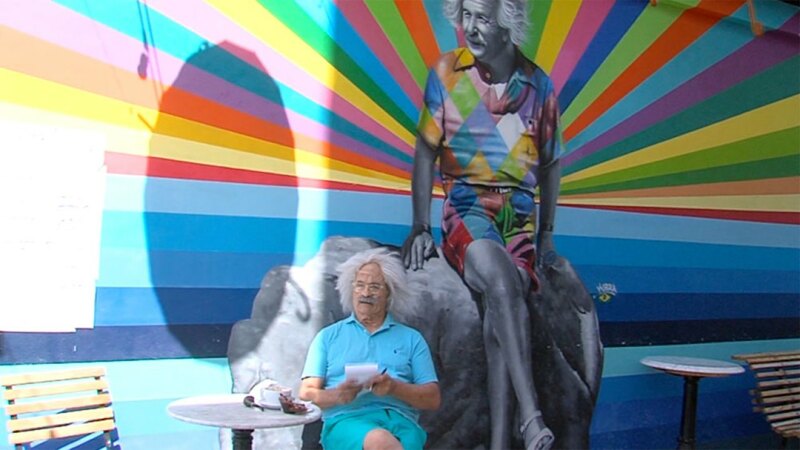 People walking by the iconic mural of Albert Einstein by artist Eduardo Kobra in downtown West Palm Beach may have done a double take Monday. WEST PALM BEACH, Fla.-- People walking by the iconic mural of Albert Einstein by artist Eduardo Kobra in downtown West Palm Beach may have done a double take Monday. A living, breathing Albert Einstein lookalike was sitting underneath the mural. He also offered some sage advice: "Imagination is more important than book learning, because that is the key to most of the answers that we need to have in this world." The human Einstein was surprised by the amount of people who walked right past him. But for those who noticed him, they found it was a nice surprise. Some also took pictures to remember the experience. The mural is located next to Subculture Coffee on Clematis Street.